When it comes to marketing their business, most realtors know that carving out a presence on social media is key to their success. They select the platforms that will enable them to reach their audience, and focus time, energy and resources on coming up with the right content to engage that audience. But too many realtors are overlooking a critical piece of the social media marketing puzzle: social analytics. It’s the gathering of the cold, hard data behind your social media activity, and the analysis of that data to determine what’s working—and what’s not. If you aren’t taking advantage of this information jackpot, you’re missing out on valuable insights that can (and should) be used to steer your social media marketing efforts in the right direction. Posting to social media without measuring the performance of your efforts is driving without a roadmap, and probably wasting valuable time and resources in the process. Why is staying on top of your social media data and analytics so important? Because it helps you figure out what to do to increase your brand’s social media impact. Consider this: if you knew the posts you made that featured creative images consistently got double the engagement of text-only posts, would you ever make a post again without including a picture? 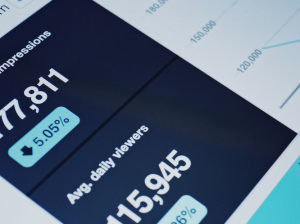 By providing you with insight into what resonates with your audience, social analytics allows you to forge a stronger connection with them by helping you to get to know them. It enables you to learn their preferences, and to give them more of what they want to see, where they want to see it. It allows you to understand what kind of messaging they connect with, and even gives you clues into how often you should be posting, and at what time of day. We know what you’re thinking…all that data seems overwhelming, and analyzing it must be complicated. But it doesn’t have to be. Just as it’s okay not to maintain a presence for your brand on every single social platform, it’s fine to let some of the data pass you by. To focus in on the social data that will be most useful to your business, you need to start with your goal. What is the overall objective of your brand’s social marketing efforts? 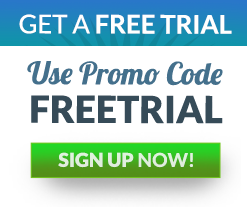 Are you trying to drive traffic to a website? Then you’ll want to figure out which content got them clicking. Trying to build awareness for your brand? The reach of your content will be important to track, as will your engagement. Use your goals to determine the right metrics to measure. Tracking and measuring social data can be a social marketers’ most valuable secret weapon, and Post Café makes it easy! We not only create and post engaging real estate content on your social platforms but we track and display your engagement metrics right on your dashboard. Ready to measure your success? Call us at 732-218-9377 to learn about what Post Café can do for you.